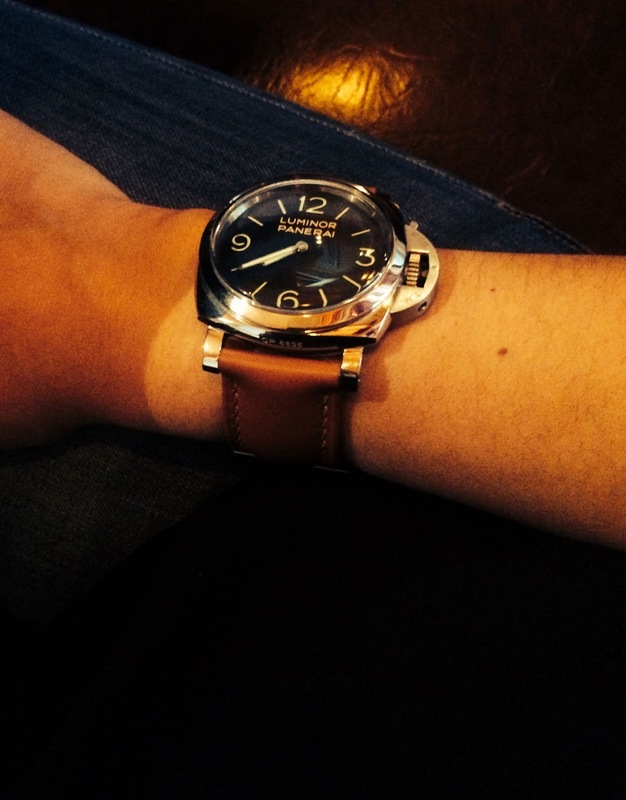 It is hard to figure out where to begin talking about my love for Panerai. 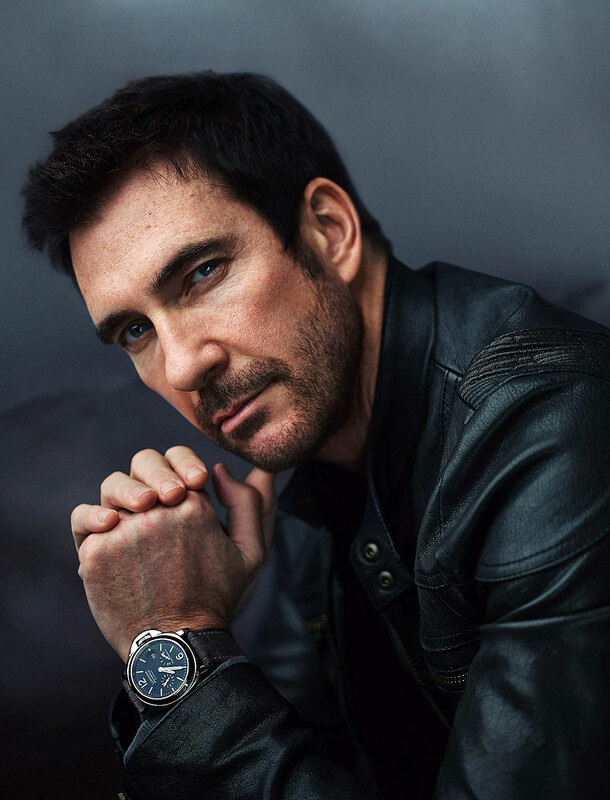 My first Panerai experience I remember was in New York, in 2001, when I was hanging out with my younger brother Todd Ehrlich, who had recently completed his tour as a U.S. Special Forces, Navy Seal. 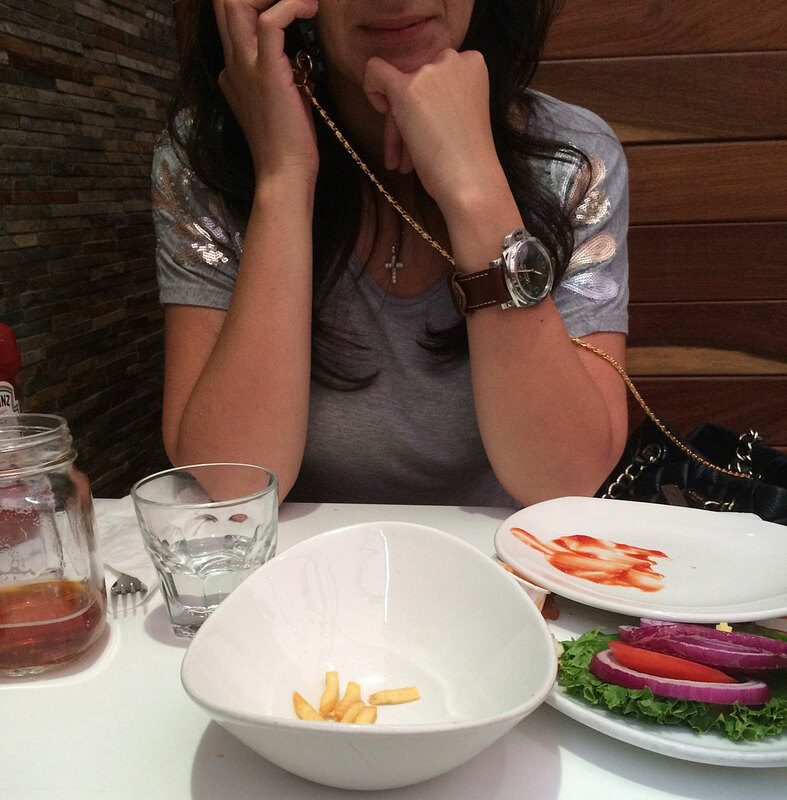 Todd was wearing a 44mm Panerai, and I was wearing a stainless steel Rolex Daytona. Todd was starring at my wrist, and said, "let me check out your Rolex." I took it off and handed it to him, and he studied it for a few minutes, and then he handed it back to me, shaking his head saying, "I just can't get in Rolex any more. I know a lot of the older Navy Seals wear Rolex Submariner models, but I just can't get into them!?!?" I responded, "Oh, excuse me, Mr. 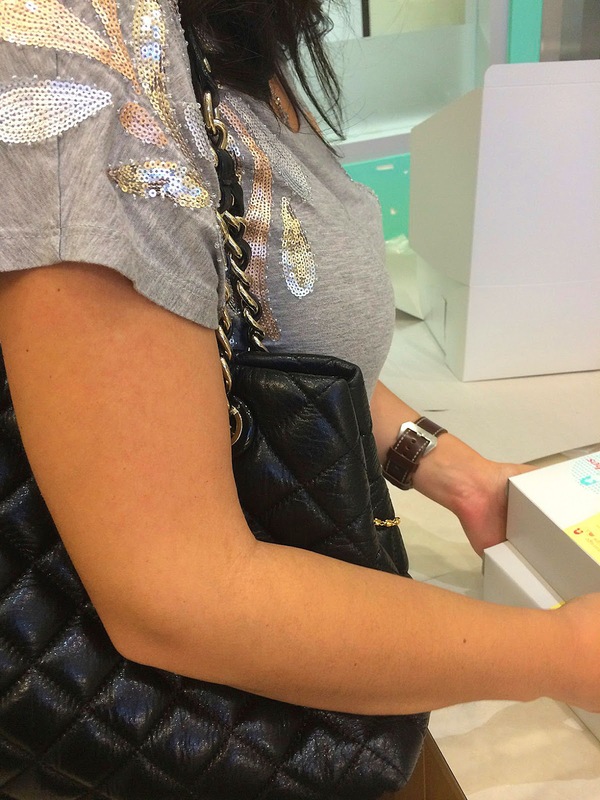 Wearing a hockey puck on your wrist!?!?" Todd responded, "Yeah? Well I like Panerai since they are are old-school Italian Navy diving watches, and they are just so cool and simple!" Ironically, I began hating Panerai watches. I dismissed them as being fashion-victim, trendy, oversized, stupid watches. At the time, I had zero understanding of their history, or knowledge they were all originally made by Rolex for Panerai. As a matter of fact, Panerai is the only company Rolex ever made watches for, beside Rolex, and of course the original vintage Panerai watches made by Rolex from 1935 to 1955 used Rolex Oyster cases. My point is, Panerai was definitely an acquired taste, and it took me years to "get" Panerai. 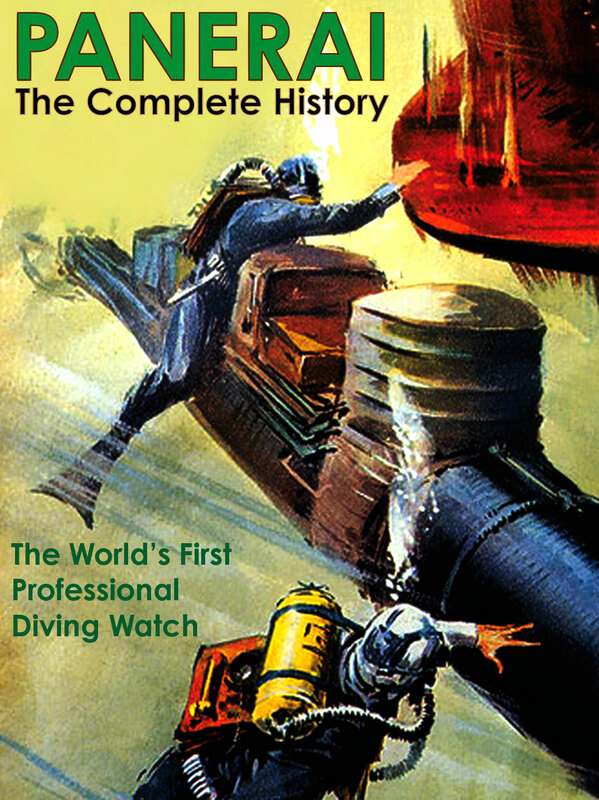 As a matter of fact, much of my initial appreciation for Panerai came from writing a super detailed history on the history of Rolex Diving watches. In 2011, I was visiting a pal, who is a world-renowned watch dealer, named Eric Ku, and he had some vintage Panerai watches which he showed me, and let me play around with. The vintage Panerai watch pictured in the two photos above, and in the picture below is a 47MM Rolex made Reference 6152-1 with a Marina Militare dial designation, which features an 8MM Rolex Brevet winding crown with the Rolex logo on the winding crown, as seen below. "Brevet" means "Patented" in French. This watch was made in sometime in the early 1950s, probably in 1952. On a sidenote, it is fascinating to note that I wear a Panerai PAM 372, and it is remarkable how similar the PAM000372 case is to the Reference 6152-1 case, with the only real difference being the 372 has the trademark half-crescent "tight-seal" crown guard, but the case body, bezel shape, and crystal look almost identical. Also, the PAM 372 features a much lower profile case back, and the lugs on the PAM 372 are more low-profile than on the 6152-1. 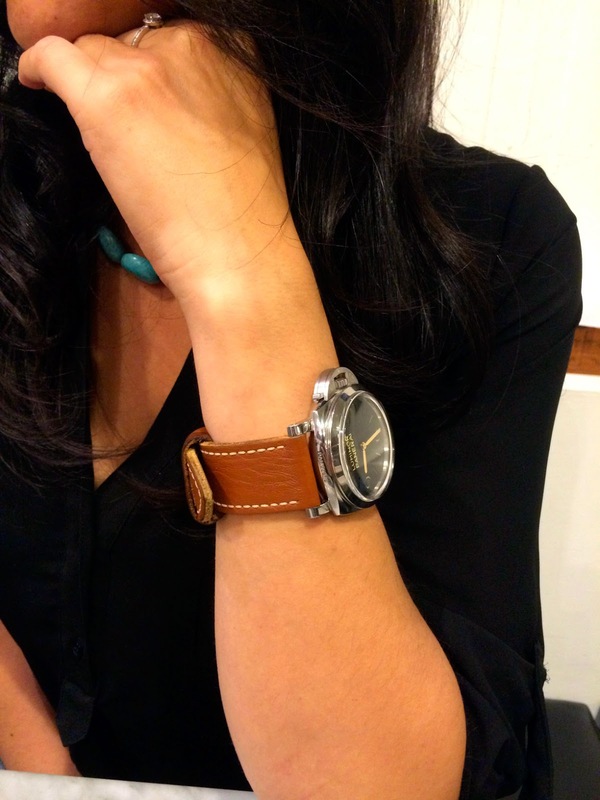 In the photo below, I am wearing the "Marina Militare" 6152-1 pictured in the photos above. 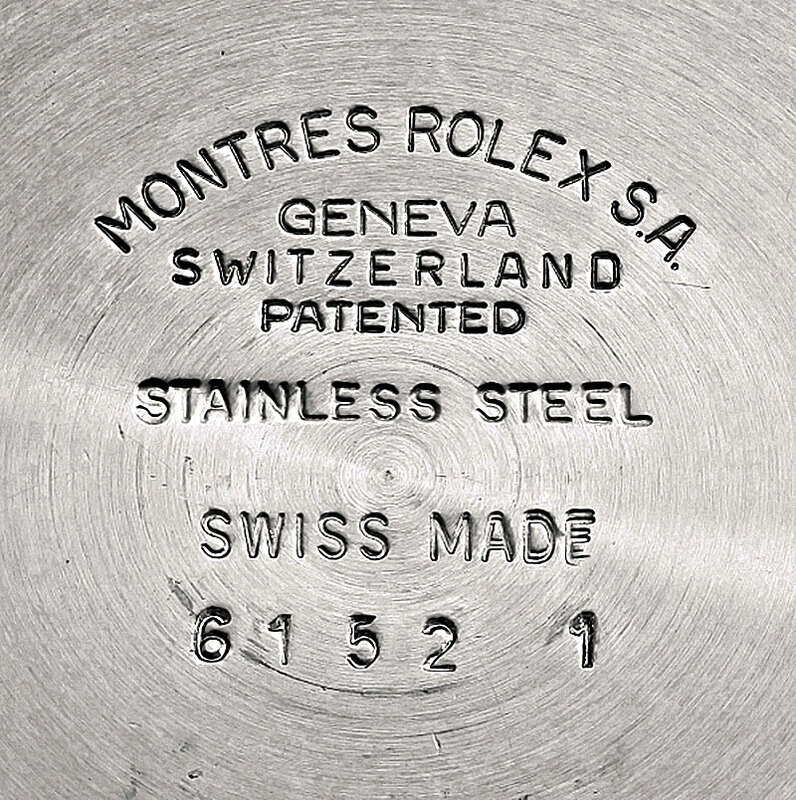 The 6152-1 came with three different different dial designations. 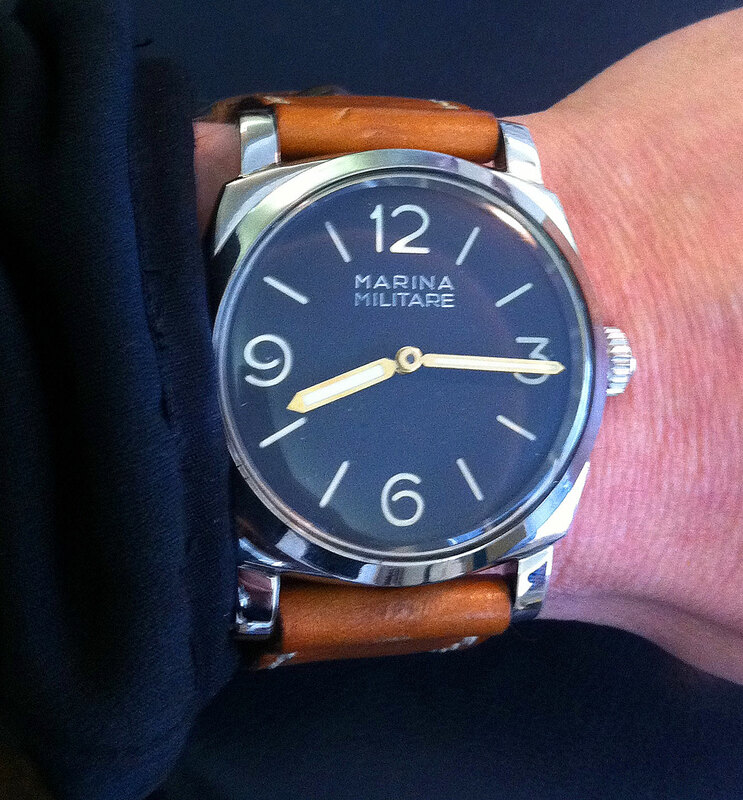 The first had a "Radiomir Panerai" designation, and the most famous had the "Luminor Panerai" designation, and the third one, which I am wearing featured the "Marina Militare" dial designation. 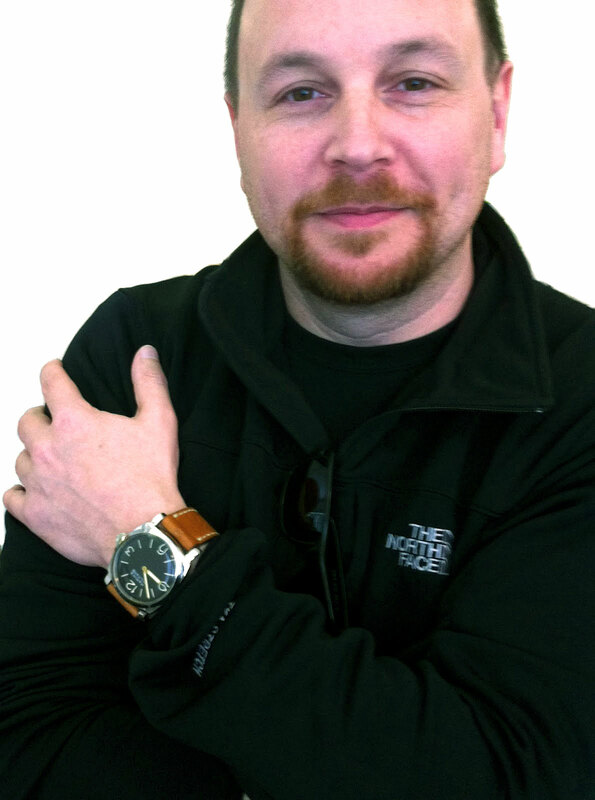 I brought an employee of mine, who is an industrial designer, named James, and he is pictured below wearing the 6152-1. Today James works for Tesla, which is pretty cool. This photo of James rockin' the vintage 6152-1really shows off its simple beauty!!! Eric also had another vintage Panerai Reference 3646 with a Radiomir Panerai dial designation, which I put on my wrist next to the 6152-1 (pictured below). Both watches have similar 3, 6, 9, 12 sandwich dials, but the Raidiomir minute markes have developed an extremely dark patina, since its dial used radium. If you look closely you notice the Radiomir has skinny wire lugs that were soldered to the case, and it also has an onion shaped winding crown, v. the Marina Militare featuring the standard 8MM Brevet Rolex winding "big" crown. This photo really illustrates exactly how early vintage Panerai design language evolved. 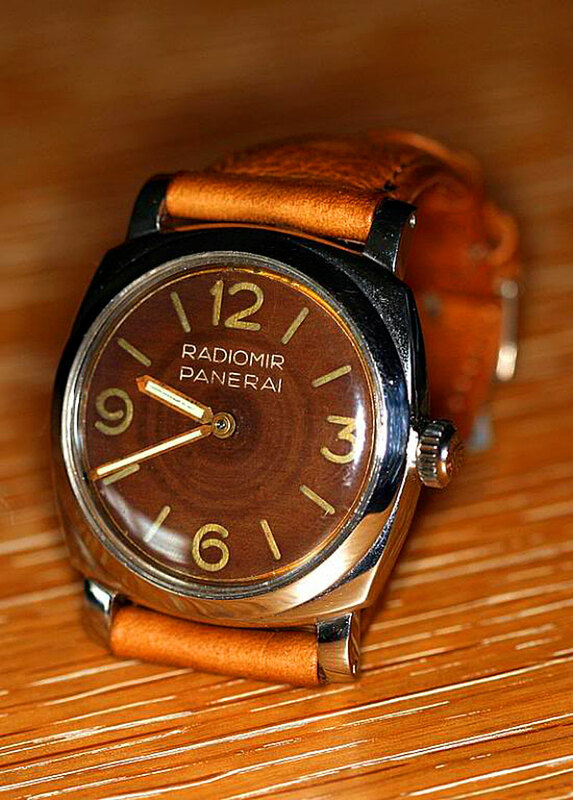 The photo below shows the side profile of the bezel and plexiglass crystal on the 3646 Radiomir Panerai. So to conclude, I will say I ended-up falling madly in love with Panerai for many different reasons. First and foremost, I consider all vintage Panerai watches to essentially be Rolex watches, and modern Panerai watches still have so much Rolex DNA, in my mind they are basically Rolex watches on a different day and scale. I also love how completely timeless vintage Panerai watches are. Today I wear a PAM 372, and it never ceases to amaze me how its design is based largely upon a vintage Panerai that was made in 1952!?!?! Just amazing!!!! It is also worth noting that originally I fell in love with the 6152-1, and the 6154 vintage Panerai models, which both lacked the now trademark Panerai crown guard. In other words, I was not crazy about the 6152, which had the crown guard. This was due to the fact that I loved the absolute minimalist simplicity of the 6152-1 and the 6154, but after wearing a PAM 372, the crown guard grew on me so much so, I like it just as much as the non-crown guard versions. 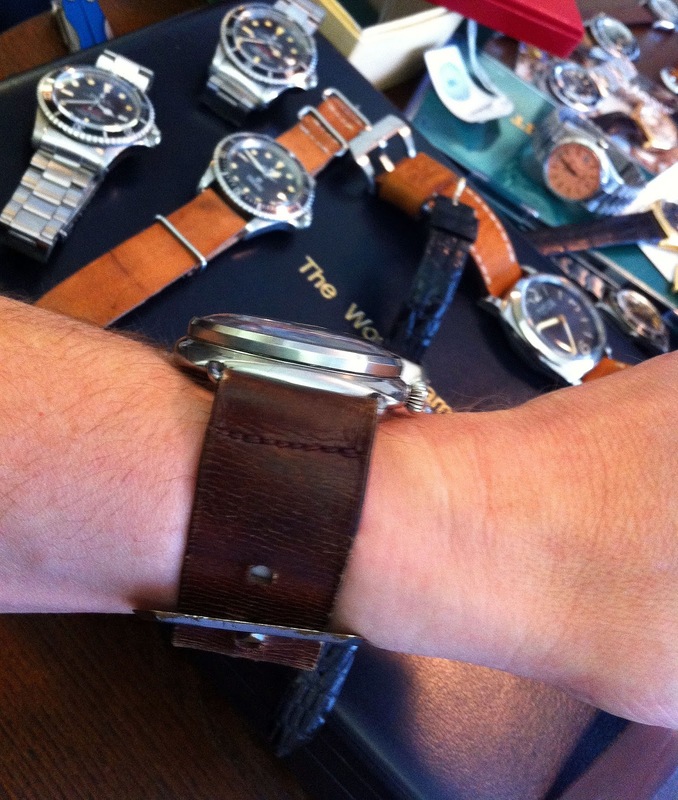 Just to be specific, the photo below was taken by Hammer, and it shows his vintage Luminor Panerai 6152 on the left side, which has the half-crescent "Tight-Seal" crown guard. 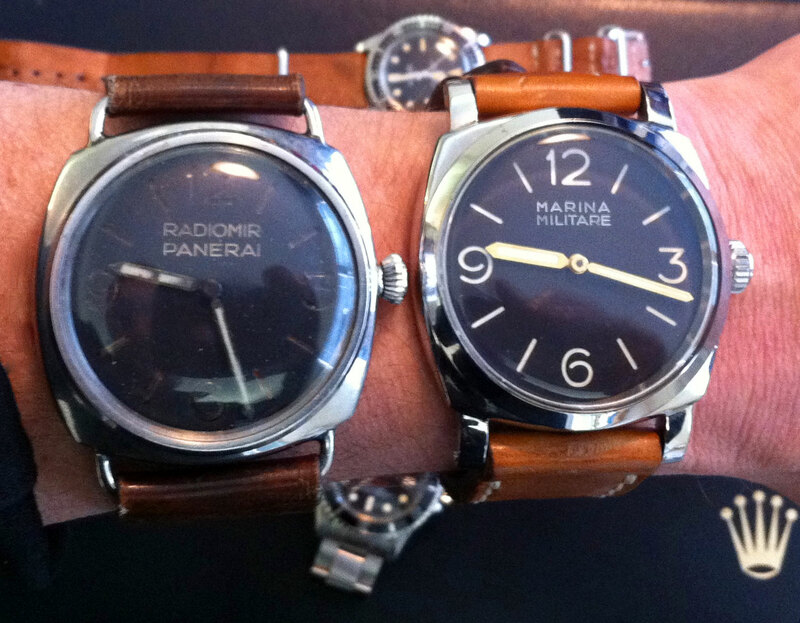 The Radiomir Panerai on the right with the brown dial, is a 6154, and it has a 8mm Rolex Brevet winding crown. It is remarkable how similar these two watch designs are, yet how different. 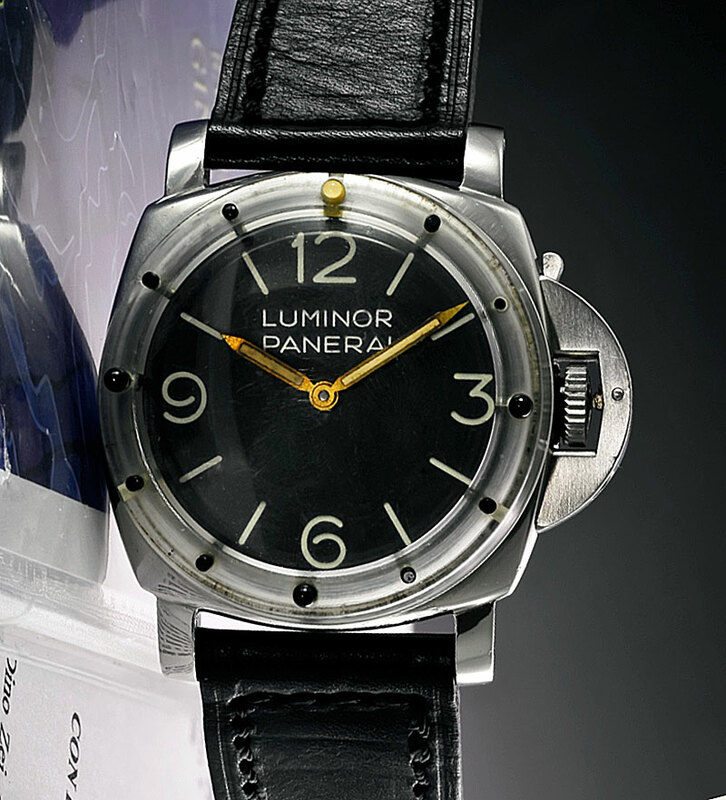 The modern PAM 372 is based upon the Luminor Panerai pictured below. The 6154 pictured below is similar in looks to the 6152-1 pictured above, but its case is much more streamlined, kind of like a more UFO/Aerodynamic shape. Officine Panerai has yet to make a new model based upon the 6154 or 6152-1, but there are many Panerai brand enthusiasts who are waiting very patiently for Panerai to do so. In case you are new to Panerai, the two watches pictured above, are both referred to as "Base" Panerai watches, since they are crazy simple. In other words, they have super simple dials, that only have five minute markers, and lack sixty minute markers. They also lack any type of complications, like a second hand or power reserve indicator. As I mentioned, the two watches pictured above belong to Hammer, and Hammer is not only one of the top Panerai collectors, but also owns what is arguably the most beautiful vintage Panerai in existence. Hammer owns a Reference 6154, that has a stunning brown dial with deep tan makers. Hammer's vintage Panerai Reference 6154, which is pictured above completely freaked me out when I first saw it. I couldn't believe how amazingly beautiful the dial patina was. In it important to understand this watch originally began its life a black dial with white markers, but since the sandwich dial lume was made out of Radium, over the decades it developed this crazy brown dial patina. 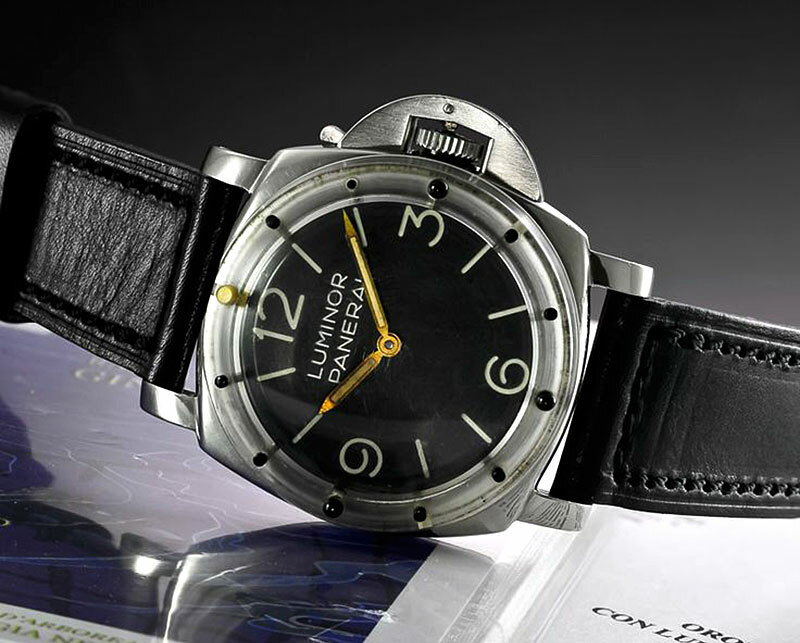 Hammer also owns a classic Panerai 6152 Luminor, which is pictured two photo up in this story, and it is pictured below as well. The Panerai Reference 6154 is a very unusual bird, in the sense its case is EXTREMELY Streamlined compared to the 6152-1 case body. I put together the image below that compares the side profiles of the Vintage 1952 Panerai Reference 6152 with side profile of the Vintage 1954 Panerai Reference 6154. In is worth noting that the Panerai Reference 6154 is commonly referred to as a "Small Egiziano", which is likely a misattribution. In other words, it was speculated that the watch was made for the Egyptian Navy in 1954, but all the research does not support this notion. It is likely that Rolex watch designers developed it as a prototype to take the bulkier 6152 case to its ultimate streamlined form-factor. This hypothesis is supported by the fact that Rolex also made Rolex Reference 6154 models with an almost Submariner-like dial in 1954. 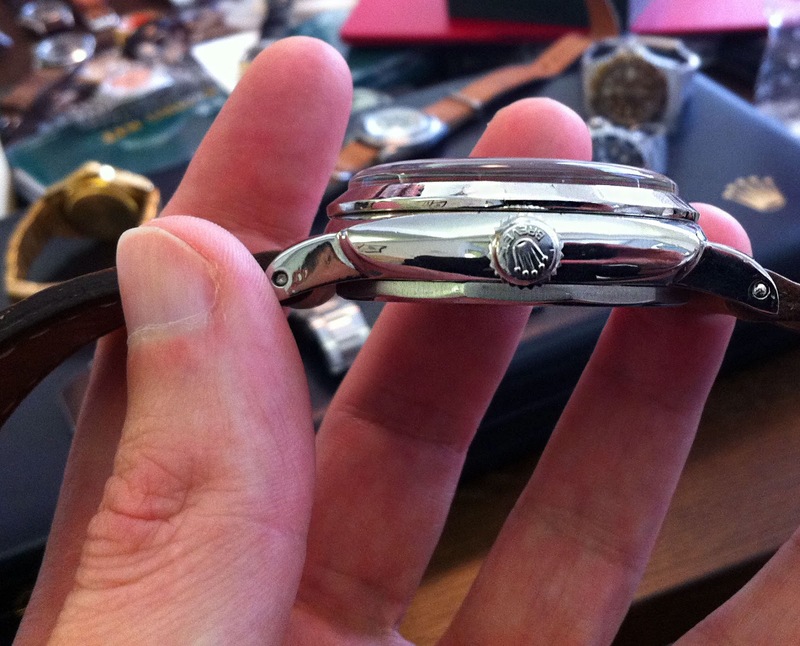 The photos below show a 1954 Rolex Reference 6154, which is extremely rare. The Reference 6154 is shrouded in as much mystery, as the vintage Panerai watches. Amit Dev Handa is a Panerai fanatic of the highest order, as well as being one of the worlds leading watch consultants, and he is also the Watch Concierge for the Mandarin Oriental Hotel in Las Vegas. 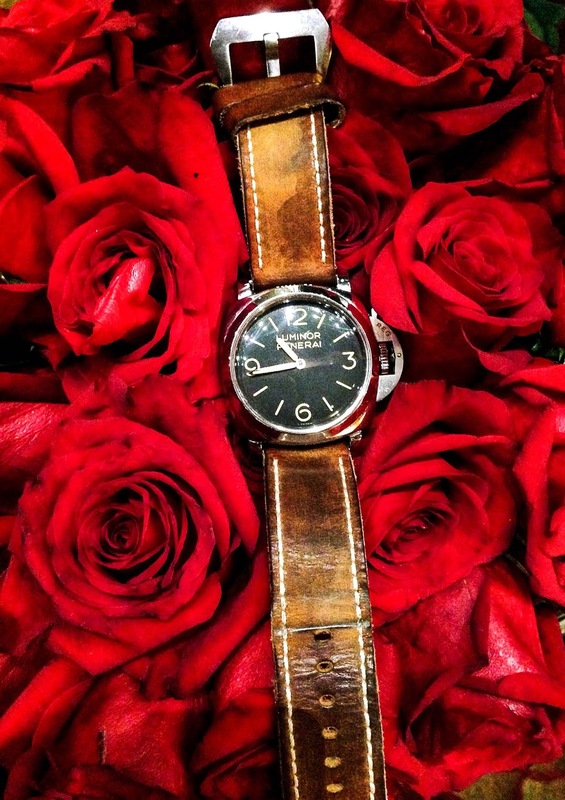 Amit wears a PAM 372, and he took this fantastic photo of his watch on a bed of roses. This is a great photo!!! Sotheby's Auction house offered an ultra-rare Prototype Luminor Panerai which includes a special prototype diving bezel, which is removable. The watch sold on May 14, 2014 for $477,000. 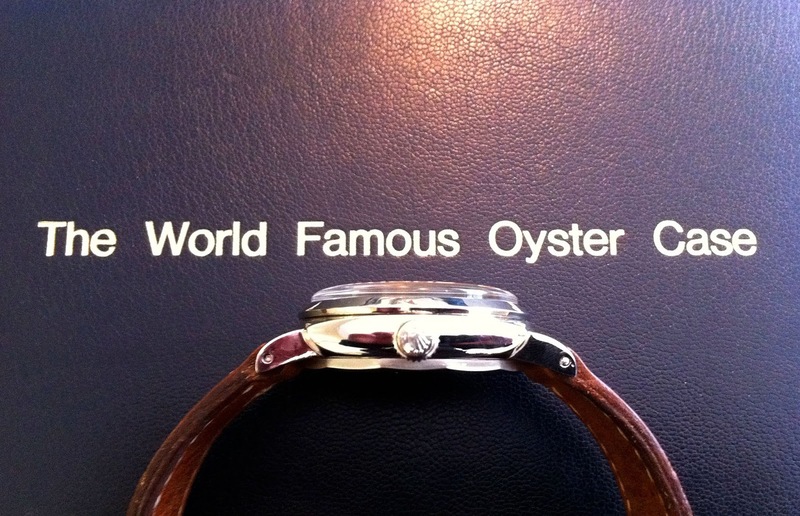 I believe this set yet another International record for auction results for Panerai watches!!! What exactly is this unusual prototype watch about? and what is the deal with the bezel? 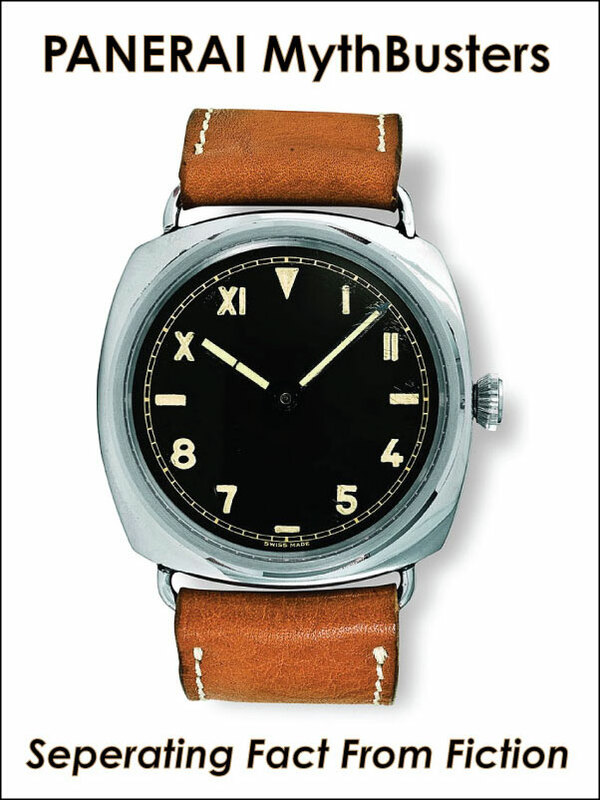 This watch basically marked the end of the line for Panerai's research & development of the watches in the mid 1950s. This unusual Panerai was discovered by Dino Zei, who is the ex-chairman of Panerai SPA, and the watch once belonged to Admiral Birindelli of the Royal Italian Navy. 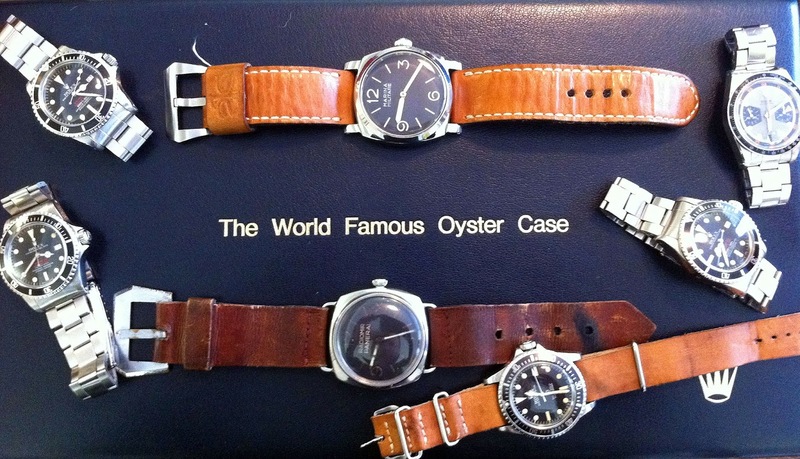 Essentially Panerai watches were obsoleted by the Rolex Submariner and Tudor Submariner models. In other words, when the Royal Italian Navy divers became aware of the Rolex Submariner models, they grew to prefer them, and though the Panerai watches were archaic. 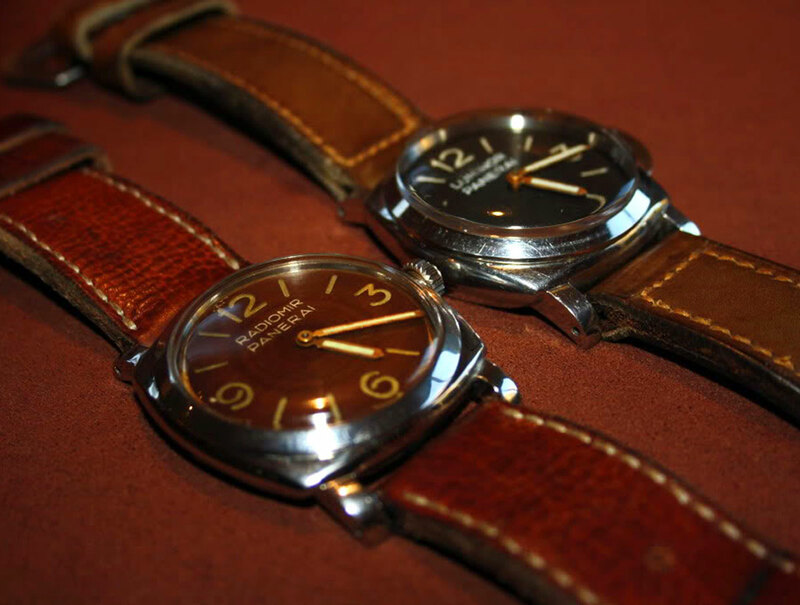 Today these vintage Panerai watches are each worth a small fortune since they have stood the truest test of time, which is based upon the timeless nature of the designs. It is ironic that many of the vintage Panerai, Rolex and Patek Philippe watches that are worth a fortune today, were not popular when they were originally sold, but from having studied the auction market results for many years, I have noticed their is a strong correlation between a watches value and how timeless its design is. The ultimate measure of how timeless a watches design is, would be based upon how it would look on your wrist today. 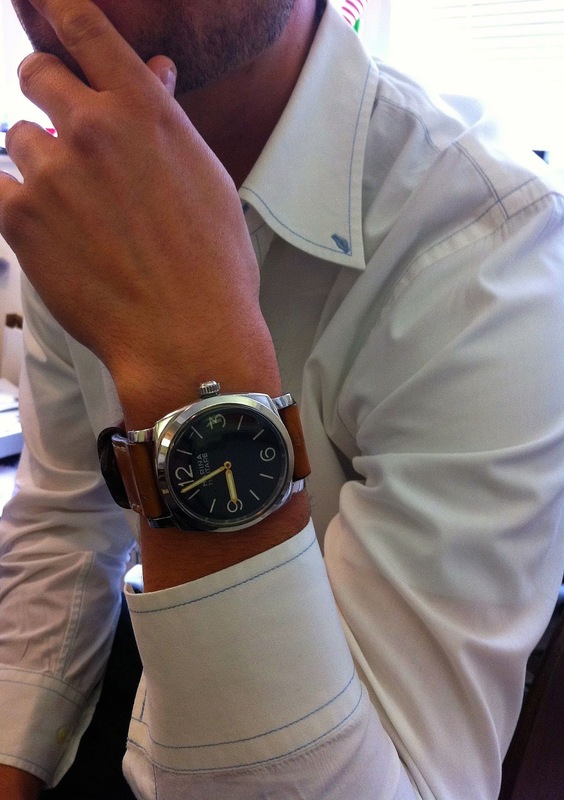 With the 47MM Panerai models, like the one pictured above, the design is soooo today. In other words, if you wore it today, it would look so contemporary and modern, yet is was made in 1955–now that's timeless design, and auction results consistently typically reward this. 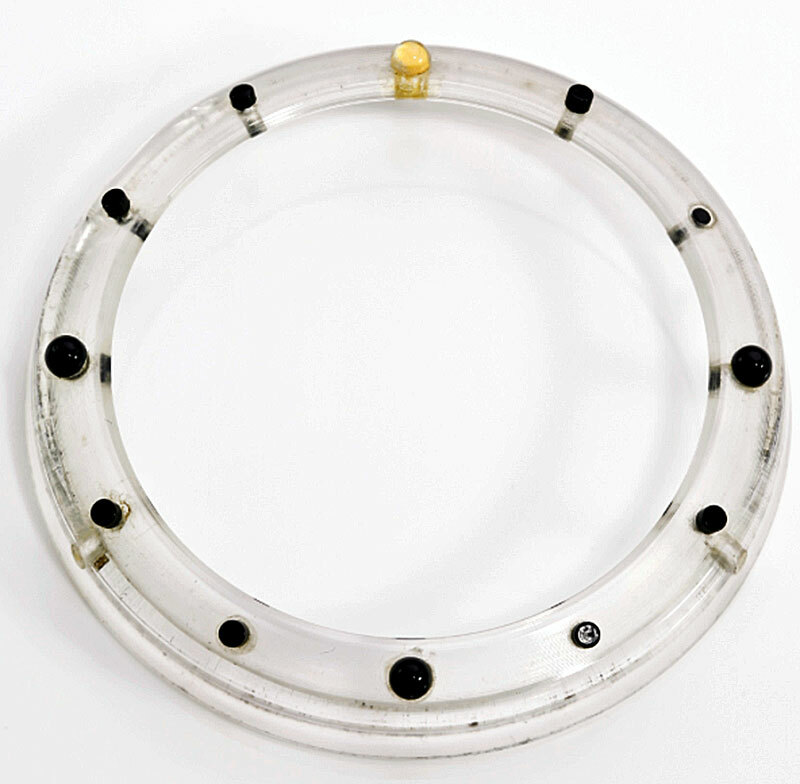 Ironically Rolex had experimented with making a 47MM Rolex Diving tool watch in 1954 which also lacked the spinning bezel insert and it can be seen below. This ultra-rare Rolex featured a reference number of 6154. 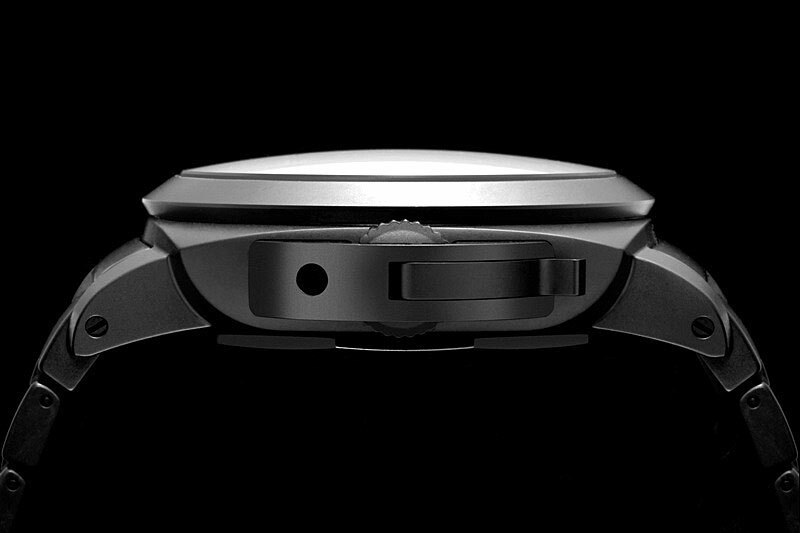 So basically the Luminor Panerai's which featured the half-cresent tight-seal crown guard represented the tail end of Panerai's experimenting with Diving tool watches. 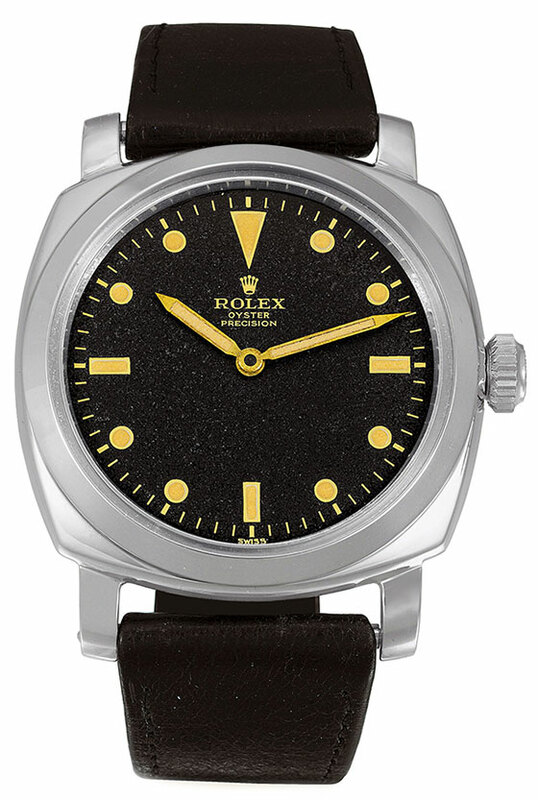 When Rolex showed off the Submariner in 1953, is had an invaluable feature that the Panerai could not compete with, and that was a spinning bezel that could be used for timing dives, and in particular, making certain the diver would not run out of oxygen, since the Rolex Submariner bezel was only unidirectional, meaning it could only spin counter-clockwise, thus ensuring the diver could not reset it to give himself more time by mistake. The Rolex Submariner pictured below was made in 1953, and offered many features that functionally obscoleted all the Panerai models, including the unidirectional spinning bezel as well as the stainless steel bracelet. 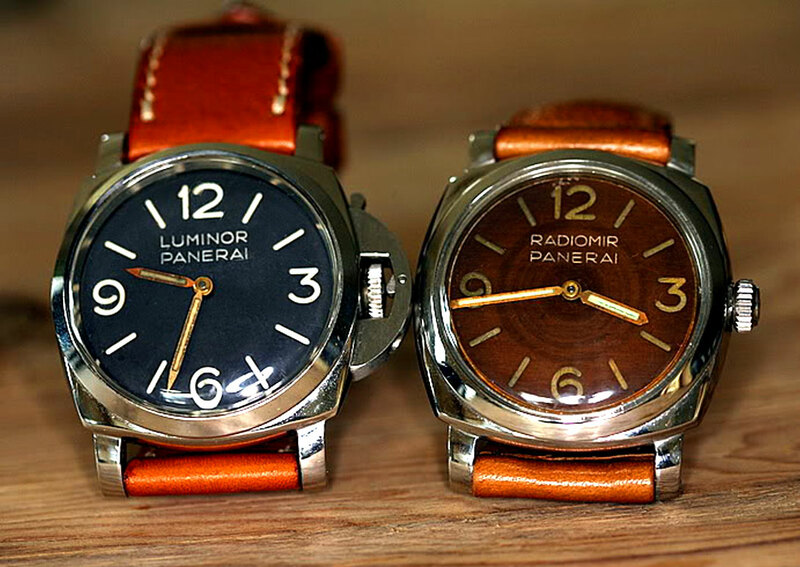 So now let's get back to examining this rare Luminor Panerai. On a side note, it dawned on me that the Luminor Panerai had the half-crescent (Tight-Seal) crown guard long before the Rolex Submariner gained crown guards, and it makes me wonder if Rolex was inspired to add crown guards after seeing them on the Luminor Panerai? The bezel insert is easily removable from the Luminor Panerai 6152/1, and in the photo below, we see the bezel by itself. The photo below shows the inside of the case back which has the standard Montres Rolex SA, Geneva, Switzerland, Patented, Stainless Steel, Swiss Made, 6152 1 etching. 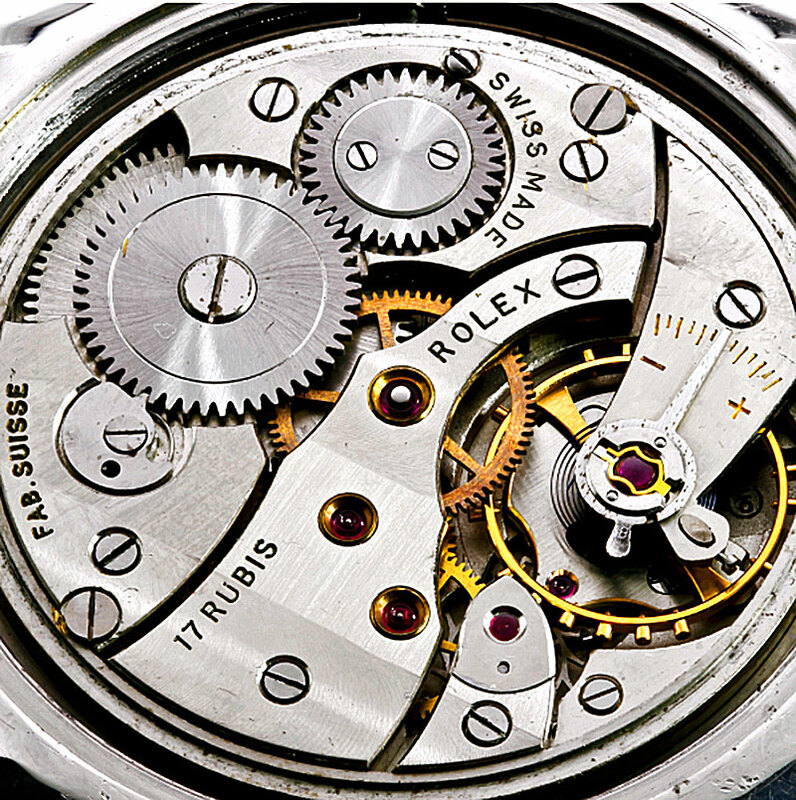 Below is a photo of the Rolex Calibre 618 Movement, which contains 17 Rubies. 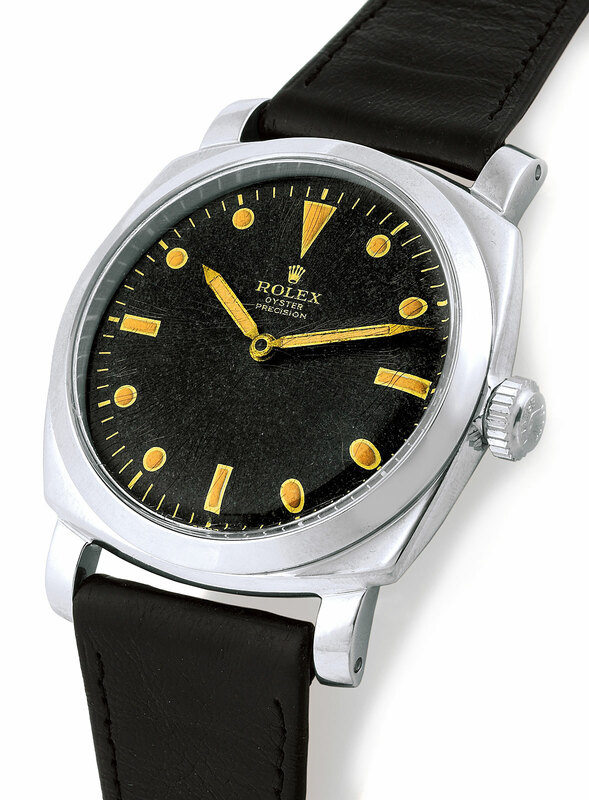 This Rolex movement is a simple, yet reliable workhorse movement. With a certificate letter signed by Dino Zei, ex Chairman of Panerai S.p.A dated 2009, a pouch and a DVD. In the early 1950s, Ref. 6152 replaced Ref. 3646, the first Radiomir Panerai produced by Rolex for Officine Panerai. The Florence based Panerai company had received a commission from the Royal Italian Navy to produce a military-grade wristwatch which would, not only keep exact time, but also withstand a harsh maritime environment. The Ref. 6152/1 distinguishes itself from Ref. 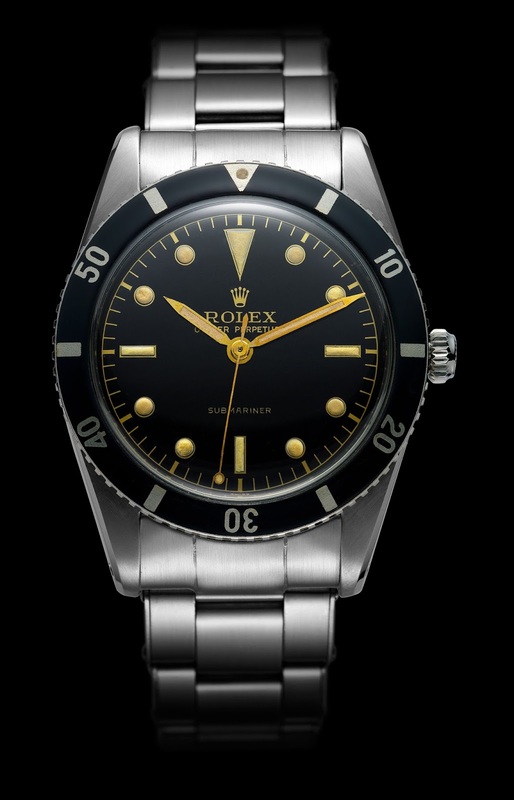 6152 in that its case is slightly larger and is therefore able to carry either the Rolex cal. 618 or the Angelus cal. 240. It is estimated that, in total, 300 examples of Ref. 6152/1 were created. Although the crown guard seen on the present example can be found on Panerai wristwatches beginning in the 1940s, the patent for this iconic design element was not issued until 1955. This extremely rare and historical reference 6152/1 was unknown until recently when it was rediscovered by scholars and especially through the research of Dino Zei, ex -Chairman of Panerai SPA, before the Florence based company was bought by the Richemont Group. 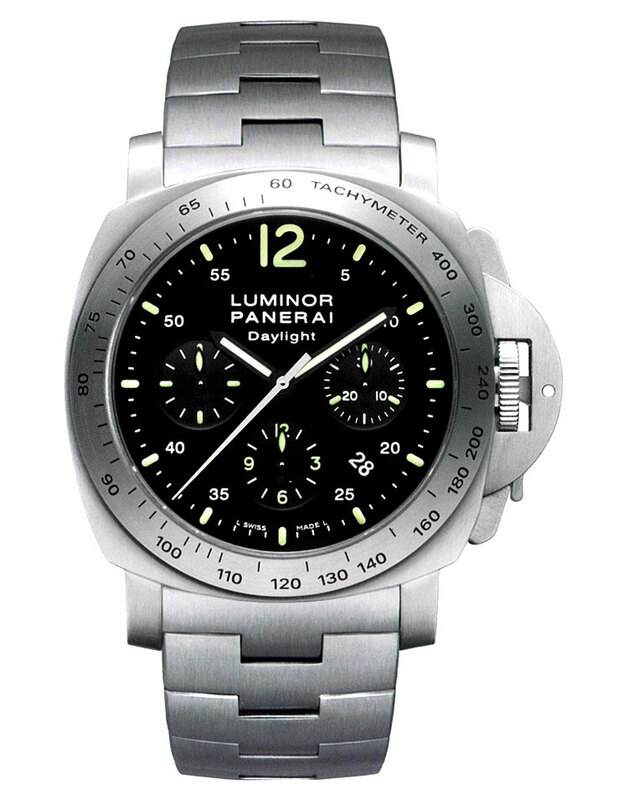 This Luminor Panerai model 6152/1, has a unique prototype polycarbonate see-through bezel with three black dots at 3, 6 and 9 and a luminescent dot at 12, in addition, it also bears smaller black dots at each hour. Interestingly, throughout the many years he spent at Panerai, Dino Zei knew of another bezel of the same design as the present watch which was stored in the drawers of his office, but it was only upon discovery of the present watch that he was able to see how, and on which model, the bezel had originally been mounted. The impeccable provenance of this watch, offered as it is by the descendents of Admiral Birindelli, add greatly to its historical importance and place in the history of Panerai watches. Gino Birindelli was born in Pescia on January 19th, 1911. Studying first at Florence’s Scolopi school, Birindelli entered the Royal Naval Academy, Livorno, at the age of 14 and served with distinction as a junior officer. After a series of postings at sea, Birindelli went on to graduate from Pisa University with a degree in engineering. His lungs were damaged by the inhalation of pure oxygen during dives, but this did nothing to dampen his physical and mental strength, especially during World War II, in which he earned the Silver Medal of Military Valour, for Bravery. He was also Commander of the Fifth Squadron M.A.S. Following the end of the war, Birindelli went on to Command the Gruppo Operativo Incursevi (G.O.I. ), various Fighter Squadrons, Livorno’s Naval War Institute, and the Commandment of divers. His eminent place in the Italian Navy led him to cross the seas from September 1st 1956 to March 1st 1957, after 33,170 miles, he then became Chief of Staff added to the Command of the Naval Academy. He rose to Senior Commands, the last of which was a Commander (in the early 1970’s) of NATO forces in the Mediterranean. After retiring in 1973, Admiral Gino Birindelli (who became an MP in 1972) served in Parliament until 1976. He devoted himself to the interests of the Navy, and had also been involved in Britain to preserve the wartime submersibles. He died on August 2nd, 2008, aged 97. 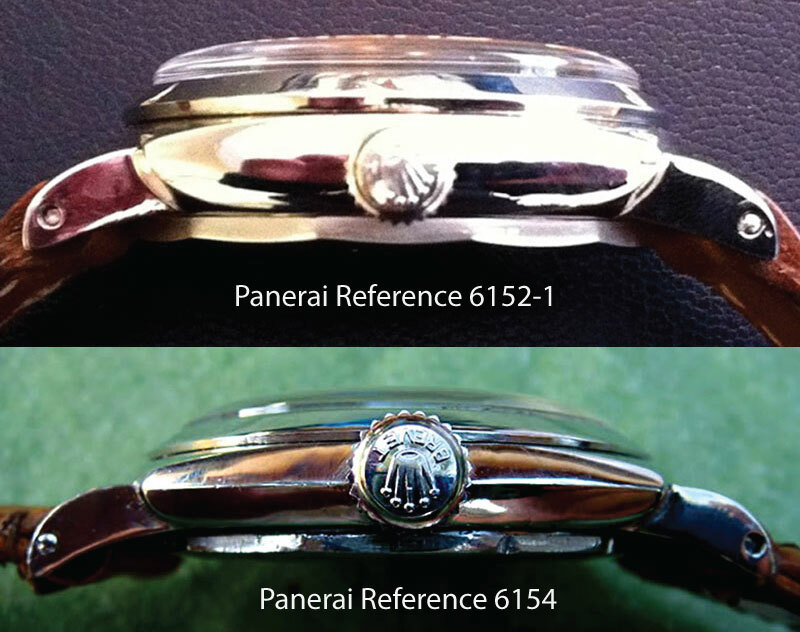 For further information please refer to Dino Zei and Mario Paci, Panerai Watches, p. 115. Ironically, Maria said she was looking for photos of women wearing a Panerai 372, when she landed on Jake's Panerai World, and she was disappointed not to find any, which explains why I took and am publishing these shots. 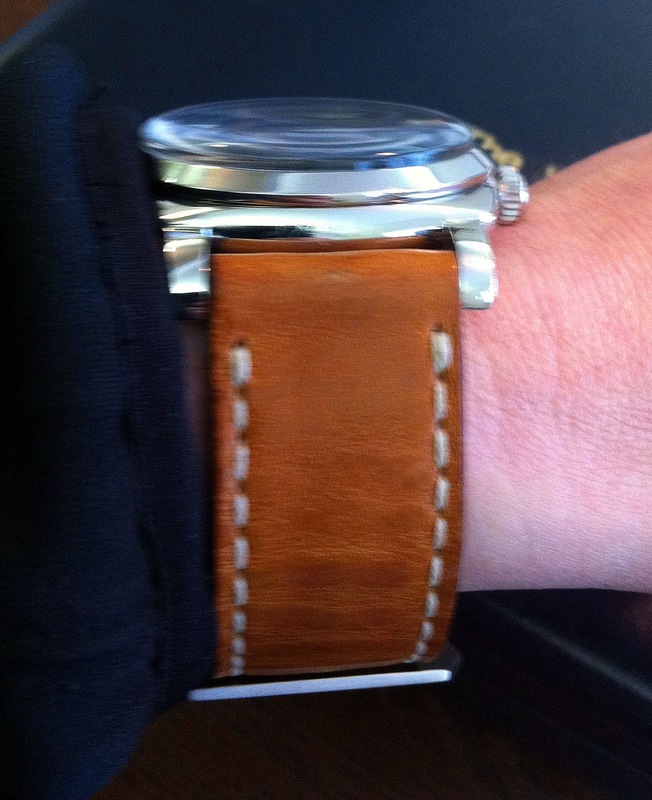 There is no better way to judge what a watch may look like on your wrist than to see a photo of such. I found your blog while doing research on watches. I have completely fallen in love with the Panerai372 with it’s minimalist classic dial which is reminiscent of the Golden Era of Hollywood (I’m a silver screen enthusiast). 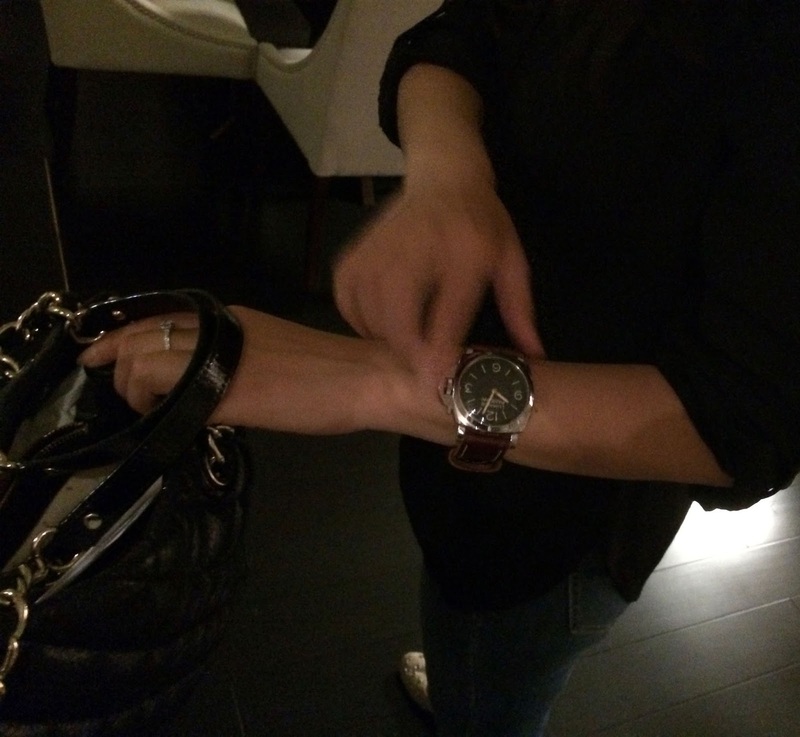 For this reason I am in search of the Panerai372, my only question, is this timepiece too large for a woman? 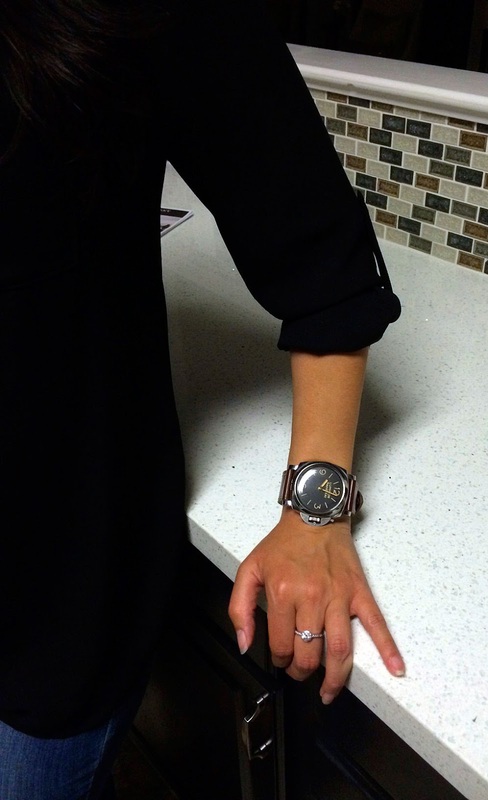 I am 5’8” and am fond of men’s watches. I am looking for a watch dealer and live San Francisco. 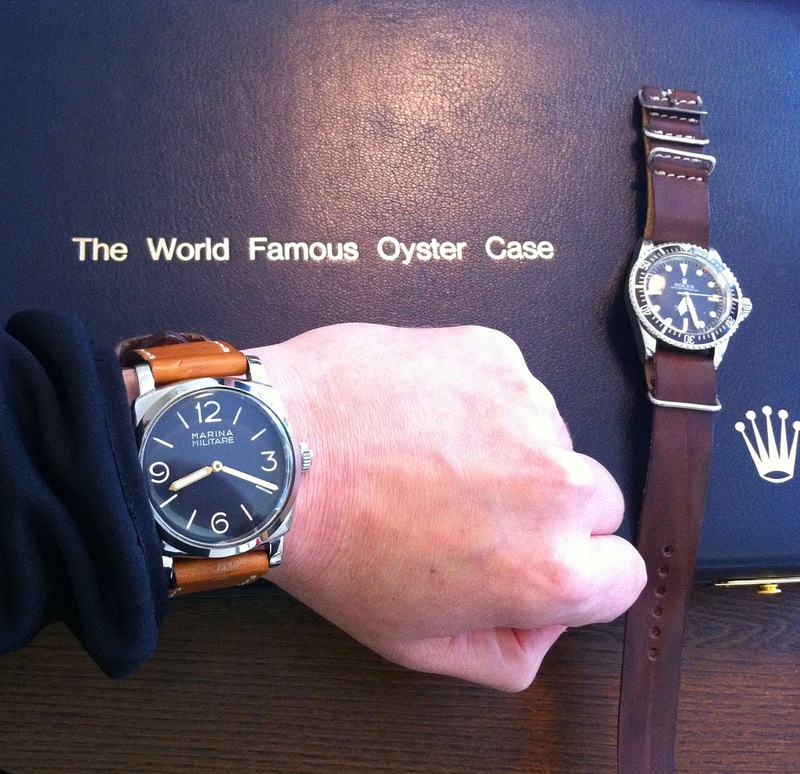 Is there a Panerai store in San Francisco? Thank you for your help if any, it is much appreciated. Your blog was very informative and entertaining." It has been said so many times before, that Panerai people are somehow cut from the same cloth (read: Paneristi), and the same is true with people who wear Rolex. In other words, if you meet somebody who is wearing a Panerai, you are almost guaranteed to have an instant friend for life, and obviously Panerai and Rolex watches are as great of a conversation piece as they are timepieces. 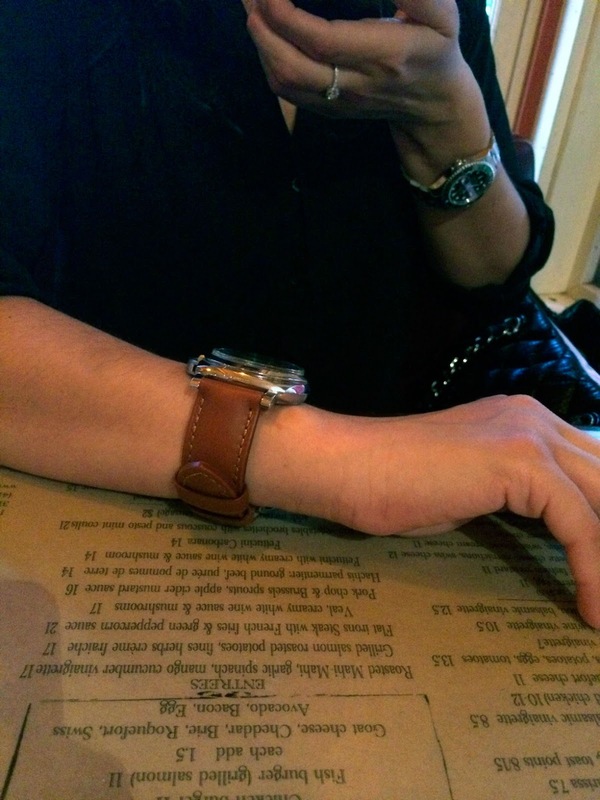 Below is a photo Maria took of my PAM 372 on her right wrist, Steve McQueen Style. I think Wiley needs to do a version of his song titled, "Wearing My Rolex" named "Wearing My Panerai."